[prMac.com] Stargard Szczecinski, Poland - Anawiki Games is proud to announce the immediate availability of Pony World Deluxe, a world filled with the fun and adventures of ponies you create and control yourself. Decide whether your pony leads a peaceful life with their family or devotes themselves to working, farming or having fun. Play minigames and win trophies in the beauty contest, the races or the memory game. Earn money to extend and decorate your farm. 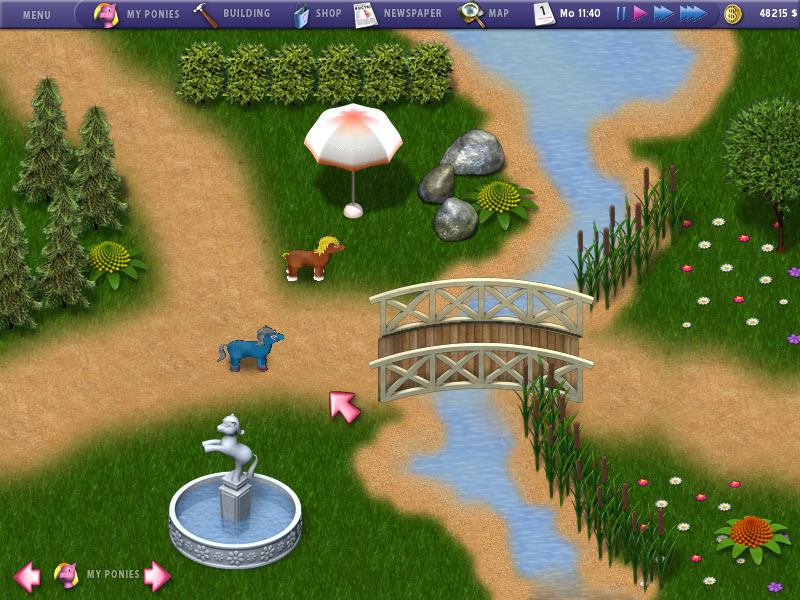 Plant trees, flowers and bushes or build fountains, umbrellas and much more! Develop your farm for profitable agriculture. Go to the disco or theater, launch fireworks or play hopscotch. 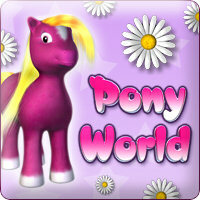 The sheer variety of Pony World will keep you entertained for hours! "We wanted to create a game that would give a lot of freedom to players - the feeling of a sandbox game without its downsides," said Roman Budzowski, CEO of Anawiki Games, "so the player has a task to fulfil but still has the freedom of a sandbox game." Pony World Deluxe features heartwarming music and graphics and the freedom to play however you wish - no time limits, no restrictions. A host of items, buildings, locations to explore and activities to try will ensure hours of fun. * Take on scenarios, or just have fun! Pony World Deluxe can be purchased from the Anawiki web site for $19.99 (USD). A free 60 minute demo for Macintosh is available for download. Based in Stargard Szczecinski, Poland, Anawiki Games was founded in 2004 as a small independent game developer, with a focus on casual games emphasizing storytelling as well as game play. Copyright (C) 2004-2008 Anawiki Games. All Rights Reserved. Apple, the Apple logo, are registered trademarks of Apple Computer in the U.S. and/or other countries.